Tree Cookies are slices of tree trunks and limbs that the children can move from place to place on your natural playground. Our Tree Cookies come as a set of 15. Tree Cookies are the perfect manipulative for encouraging creative loose parts play on a natural playscape and can be used in many different ways. 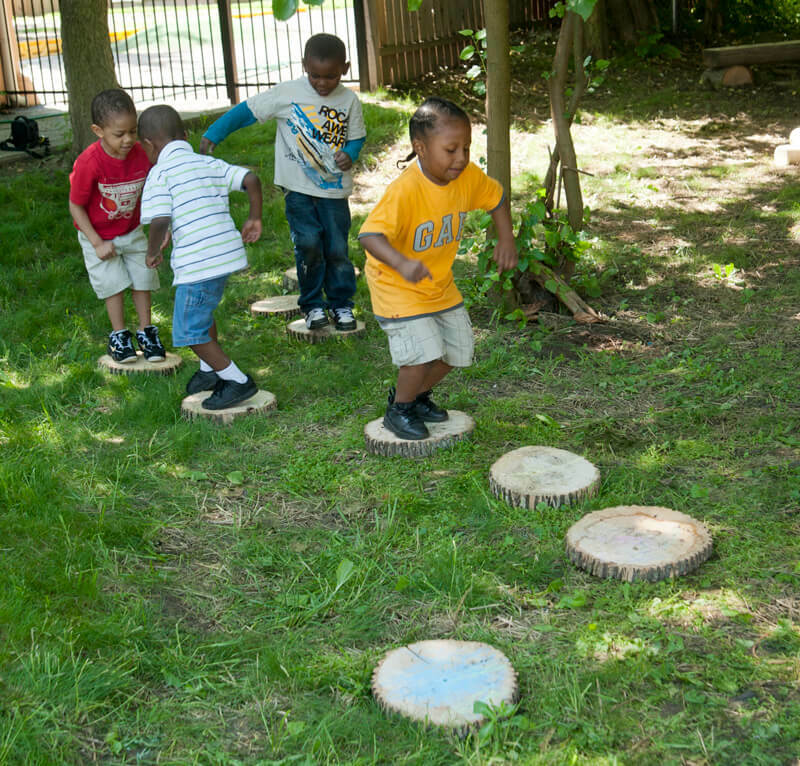 Children can use them to create their own unique pathways and patterns across the outdoor preschool playground and then walk or jump from Tree Cookie to Tree Cookie. The Tree Cookies are stackable and children can also use them in a construction area as a building material. In addition, Tree Cookies provide the opportunity for children to take a closer look at the inside of the tree – to see both the outside layer of bark and the inside rings. Children can also paint the tree cookies or draw on them with chalk. Write numbers onto the Cookies and the children can practice counting as they jump from Tree Cookie to Tree Cookie.